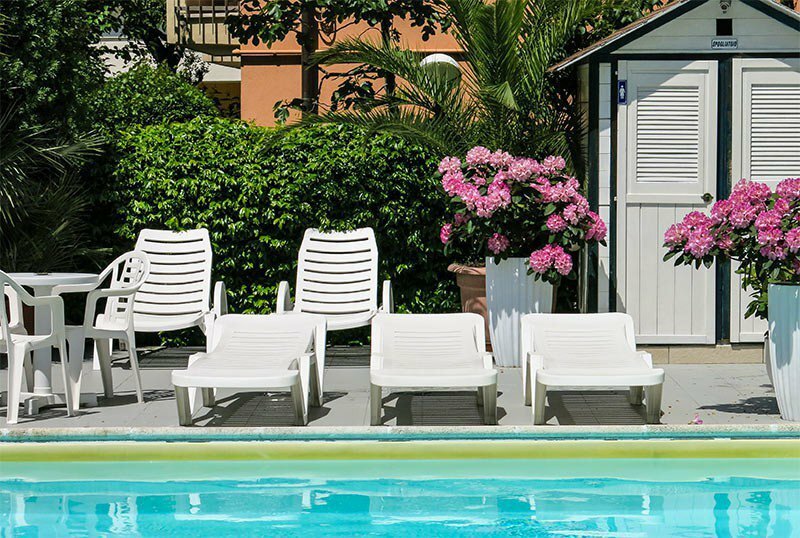 The Hotel Amati , a 2-star family-run hotel in Riccione, is located in a green area near the sea and the thermal baths. Ideal for families, it has a swimming pool, jacuzzi, secured parking, services for children and free WI-FI throughout the structure. Accepts pets. The hotel is located in Riccione in a green area, just a few minutes walk from the beach and the Terme di Riccione, with which it has an agreement. The area is well connected to Rimini and to the center of Riccione by public transport. Recently renovated, the rooms have a balcony, telephone, TV 22 "or 26", bathroom with shower, safe, hairdryer, individually controlled air conditioning, free WI-FI and complimentary toiletries. On request: minibar. 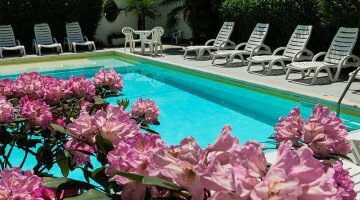 Heated pool with hydromassage and shallow water area for children, solarium, garden, bicycles available, library, reading room, bar, lounge, elevator, luggage storage, late check out, subject to availability. It organizes theme nights and is equipped for cyclists. PARKING: exterior 150 meters from the hotel, available until exhaustion. CONVENTIONS: beach, amusement parks, Terme di Riccione and Perle d'Acqua water park. Organized excursions from the owner. LUNCH AND DINNER: 3 choice menus accompanied by buffet of appetizers and vegetables, fresh fruit and desserts prepared at home. VARIATIONS: vegetarian and vegan dishes are also available. OTHER: every Saturday evening a typical local dinner is organized with piadina and other local dishes and every Sunday evening an aperitif in the garden. In the hotel: children's pool with shallow water, outdoor playground area, strollers and bicycles with child seats. On request: baby sitter and pediatrician. In the room: baby cot, cots, anti-fall sides, bathtubs for the bathroom. At meals: high chairs, children's menu on request, baby food, bottle warmer. On the beach: games for children, baby point, baby / mini club and rich entertainment program. The hotel's swimming pool is located in the garden, equipped with heated water and a hydromassage jet. It is ideal for adults and children with a low water area. The pool is surrounded by a solarium area equipped with sun loungers. The hotel has an agreement with the establishments n. 46-47, n.48 and n. 49-50, equipped with beach beach umbrella, sunbeds and tents, playgrounds, swimming pool, sports fields and entertainment for adults and children. Prices shown are per person per day in a double room for a min. of 3 nights. Call and request a personalized quote. In Formula All Inclusive (including drinks and sunbed on the beach). starting from € 60.00 per day per person. In the All Inclusive formula children up to 6 years are FREE. Call now and request a free quote.